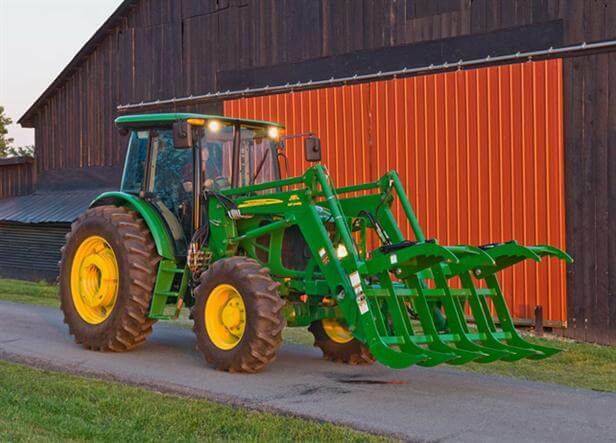 The 673 Loader features the high-mast parking system. The parking stands are stored neatly inside the torque tube; this ensures that the parking stands do not obstruct visibility or restrict lift height by getting caught on objects when using the loader at full lift height. To receive more information about this product free in the mail soon, click here (available to U.S. and Canada residents only).